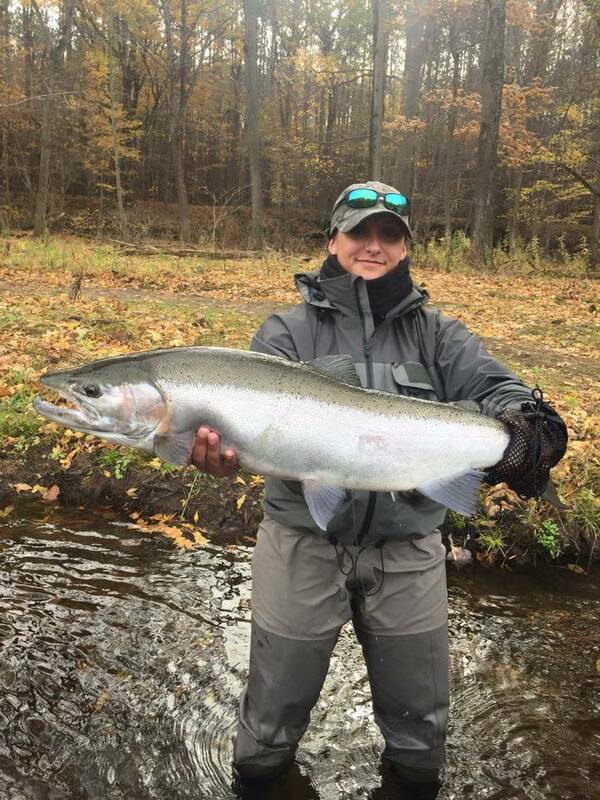 Johnny and Andrea are a husband and wife guiding team who were born and raised in NE Pennsylvania, but soon moved to NY when they discovered the great fishing there. 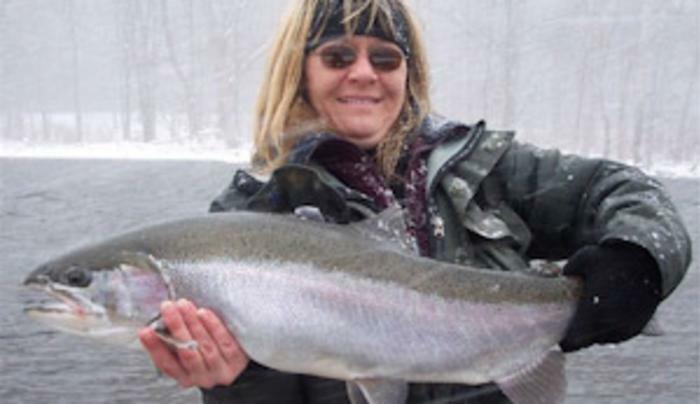 They have built their guide service from a dream and a mountain of dedication, and it continues to grow to this day. 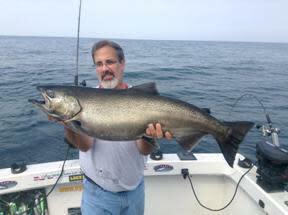 During the summer charter business, you will find Andrea at the helm of their 29' Aquasport. 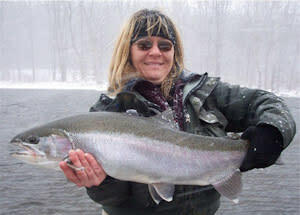 She is known for finding fish in the lake when few other captains can- where Johnny's knowledge comes in to help and catch them. 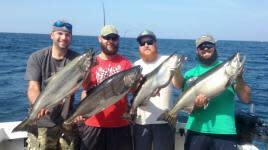 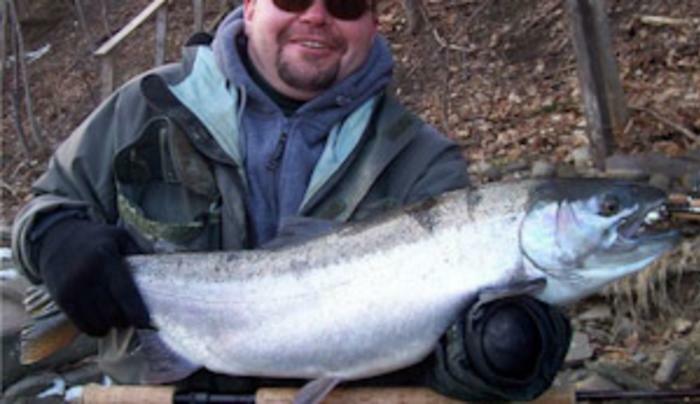 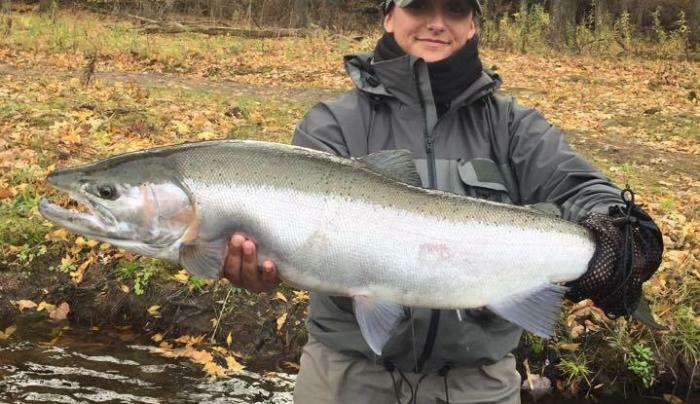 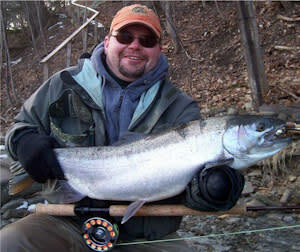 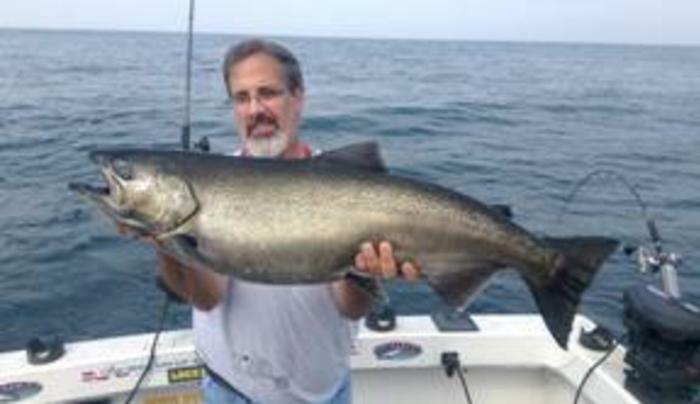 If you're looking to tie into a chrome silver spring king or to learn how to find steelhead through the cold winter months, your best bet in guiding at all times and during all seasons is NY Fishtales.